A little bit of chaos combined with a definite sense of excitement is one way to describe life at the new Taylor-Made Deep Creek office. Yes, I did say new!!! This week we made the big bold move and moved into our new building located at 35 Town Center Way. If you are at all familiar with our area, then this would, in fact, be that absolutely fabulous big log building adjacent from Market Square! Now, granted, my perspective is a little big askew but I find it impressive and rewarding to work for a company that just a mere 4 years ago started with a single property and has now grown to over 130 vacation rental homes and 40 + property service homes. 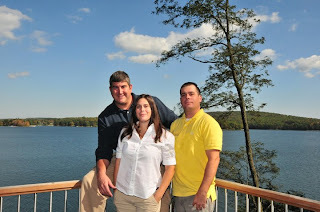 Back in 2008, Jodi, Joe, and Chad grabbed a hold of the opportunity to begin their own vacation rental company, thus, Taylor-Made. Jodi and Chad grew up essentially raised into the business and learned all of the traits from 2 of the leading vacation industry pioneers, their parents, Zack and Linda Taylor. Joe, of course, has been well known in the area for his business smarts and nothing says “Customer Service” like working and owning your own restaurant. Together the three decided to combine their knowledge and it has certainly paid off. Now, to the outside business world, they may know that Jodi is a whiz when it comes to working numbers, Chad is guru when it comes to all things computer, and Joe is exceptionally bright when it comes to all things in the maintenance department. As employees, we get to see the more in depth side of these complex personalities. For instance, when Jodi gets excited she does an extremely clumsy dance that is entertaining on many levels, Chad often tries to persuade us to have “English Accent Day” and Joe has a passion for singing along with musical Christmas decorations. These traits are among the many that make them the endearing employers that they are. They have created a company environment that is fun and exciting but allows each employee to finish each day with a feeling of pride and accomplishment. That being said, we would like to say Thank You to Jodi, Joe, and Chad. Congratulations on all of your hard work and for this new big step for the company! It’s going to be an exciting year! In the meantime, we can’t wait to see you at the lake! After a busy day at the office, I decided to go for a little pick me up with a refreshing beverage from Trader’s Coffee House. So many beverages to choose from! Knowing full well that my coworkers have little patience with me when I am java-ed up, I decided to try a strawberry fruit smoothie instead. Delish! Made with real strawberries and topped with whipped cream and sprinkles, it was the perfect jolt that I needed! It had been awhile since I had been in Trader’s which is surprising because I love the atmosphere there! It’s very casual but warm and inviting and their menu just continues to grow. 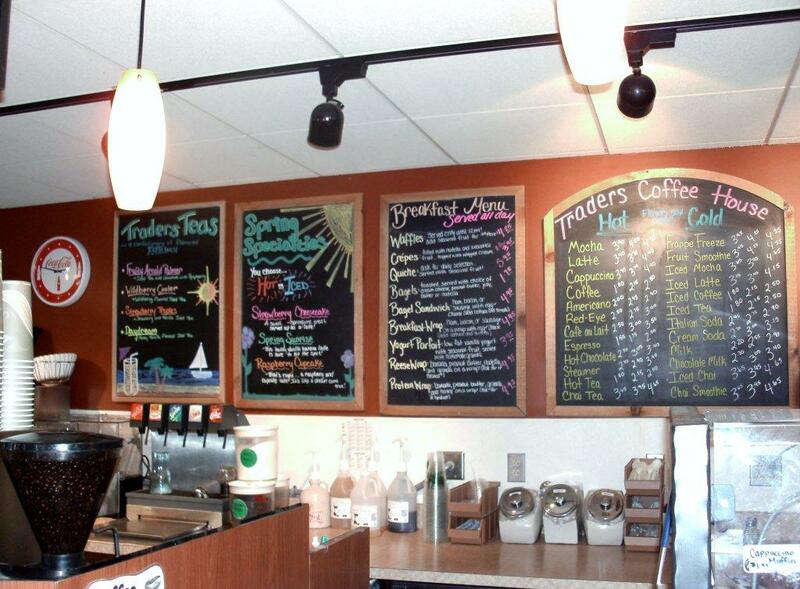 They now serve a variety of breakfast foods such as waffles, scones, breakfast sandwiches, and more. For lunch you can choose salad, Paninis, quiche, and the list continues. All are made daily and with nothing but fresh ingredients. Not sure what to get? Ask. The employees are quick to offer suggestions and always offer exceptional customer service. Need to surf the web? No problem as the coffee house offers wireless internet. The coffee shop is also accessible by boat so stop by next time you are out cruising on the water. 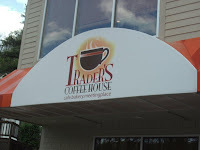 So, if you are looking for a comfortable place to hang out while enjoying a specialty drink and snack, then I highly recommend that you check out Brenda and her crew at Trader’s. You will be glad that you did! Life in the mountains is flourishing as the trees are full, flowers are blooming, and the air is clean and crisp. It’s the perfect time to begin planning your summer vacation. 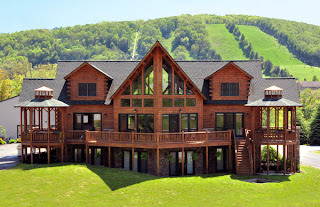 Call Taylor-Made Deep Creek Vacations(1-866-351-1119) today to speak to one of our reservationist who will happily be able to help you locate the perfect home for you and your family. 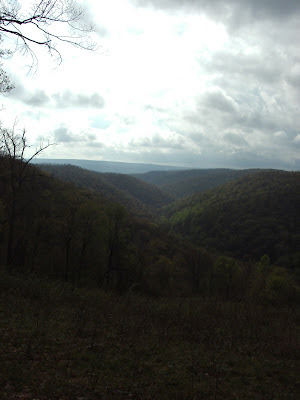 You can also browse through our homes on our website (www.deepcreekvacations.com) where you can see pictures of the home, take video tours, and read through a list of amenities that each home offers. There is still time to take advantage of our “Book 3 nights for the price of 2” for the Memorial Day weekend. In the meantime, we can’t wait to see you at the lake! Here we are bursting into the month of May! Who doesn’t love the month of May? It’s that time of the year where the outdoors explode with life, the month that children eagerly start crossing off days on the calendar while anxiously waiting for the last day of school. The month where you can begin to daydream of hot summer days spent swimming in the lake, barbeques, and basically all things summer! Now is a great time to come visit our mountains as the leaves are turning lush and green, docks are going in and we are running some fabulous spring specials. Not sure what to do while you’re in the area? With several state parks to choose from, now is a spectacular time for hiking and mountain biking. Now, yes, I am a big fan of Swallow Falls State Park. It’s hard to go wrong with the sheer beauty of the falls and walking trails, so this time I decided to go a different route and so the family and I headed down to New Germany State Park, located outside of Grantsville, and approximately 30 minutes from McHenry. With over 10 miles of walking trails, you may find yourself wandering through a dense hemlock forest, colorful mixed hardwoods, rhododendron-filled stream valleys or towering pines and spruces. Hiking, trail-running and biking are the most popular activities throughout the year. Whether walking along the lake or wetland, or hiking the scenic trails, visitors are sure to have an opportunity to view birds and wildlife. Abundant bird species can be found throughout the area, such as pileated woodpeckers, black-capped chickadees, barred owls, great blue herons and an occasional osprey. In the late spring and summer, guests of the park can purchase snacks from the snack bar or rent a kayak or paddle boat to roam around the l3 acre lake. Swimming is also popular in the designated beach area. This Friday, May 4, there will be a “Live Jam” held at the Lake House. This is an awesome opportunity for musicians and spectators alike to join together to play and enjoy traditional folk, bluegrass, and any “old-time” Appalachian style music! Again this will be held in the Lake House from 6:30-9:30 and the admission is free! Check it out! Mother’s Day is just around the corner so now is the perfect time to treat mom to a weekend getaway. Call Taylor-Made Deep Creek Vacations today to begin finding your perfect vacation home. We can’t wait to see you at the lake!